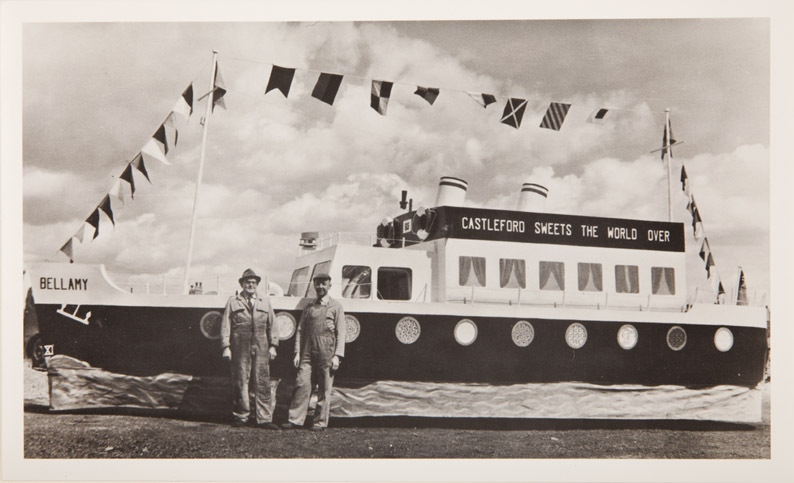 The image shows a life size model of boat painted 'Castleford Sweets The World Over' and 'Bellamy'. In 1870 Joseph Bellamy started manufacturing in Leeds, but in 1899 moved to Castleford. They became known for their mint imperials, French almonds as well as chocolate covered liquorice allsorts. In 1935 Joseph Bellamy & Sons Ltd became incorporated.The business was run in turn by the Bellamy family until it was taken over by John Mackintosh Ltd in early 1964.